Over 1,500 miles north of the French Quarter, New Orleans jazz legend Glen David Andrews has found a sanctuary. 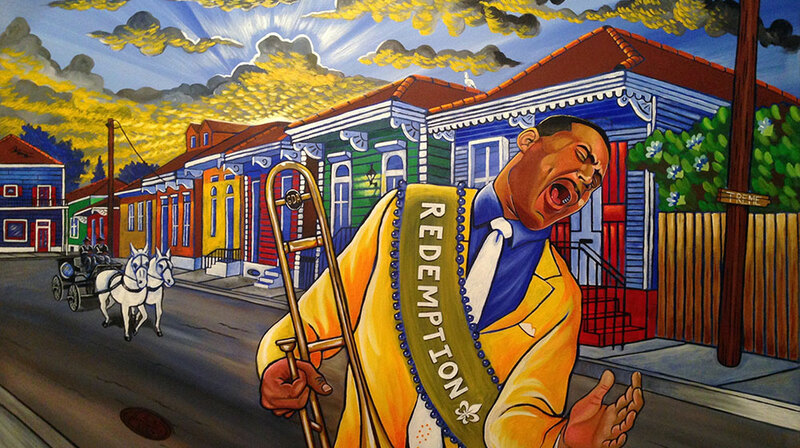 Though he comes from a storied lineage of NOLA brass, it was Massachusetts where Andrews found the solace to write his latest album, the fittingly-titled “Redemption.” As an outpatient at the Right Turn facility in Arlington, a rehab center that specializes in treating musicians, he was finally able to buck the demons of the Sixth Ward and its tempestuous spotlight. Now, touring in support “Redemption,” a sober and clear-headed Andrews returns to the Hub to play Johnny D’s this Friday. For him, crossing the state line is like coming home. Charming and boisterous enough to fill a room, Andrews comes right through the phone sounding magnanimous and refreshed. He’s a big man whose fire and unpredictability behind the mic could easily be dangerous if he lost his equilibrium. But that’s no longer the case with the pedigreed jazz man. Touring behind soul-stirring jaunts like “You Don’t Know” and Tremé clemencies like “Surrender,” Andrews is on the trail of restitution. Andrews’ troubles with drugs and alcohol are well-documented, and they’ll likely follow him throughout his career. 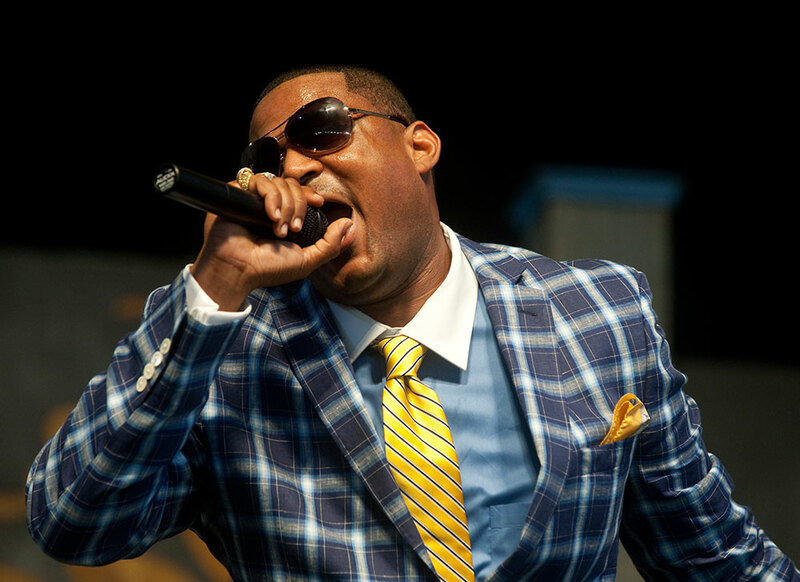 “I wasn’t always St. Glen David Andrews,” Andrews admits, “let’s just say that.” But, at this point in his life, he’s focused moving beyond recovery and onto redemption. He’s not the same man he was when he entered Right Turn nearly two years ago. Though he always makes a point to stop by Right Turn when he’s in town and he heads the Kerwin James Foundation, which aims to help other Louisiana performers stricken with addiction receive the same creative care that he did, the past is a time Andrews only speaks about in ambiguities now. He chats animatedly about meeting friends for dinner, spending a weekend at a compatriot’s lake house, and chatting with his manager’s 92-year-old mother, politely refusing to stray too far into the dark. 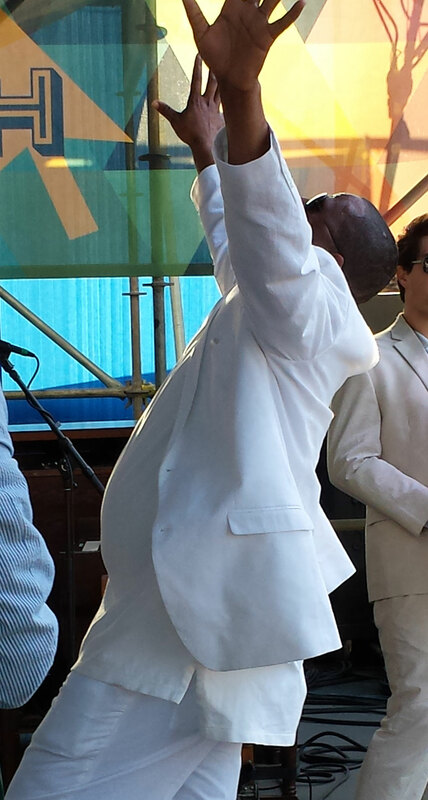 Part in parcel to this redemption is Andrews’ move away from the trombone, which he forgoes on much of “Redemption.” By putting his vocals at the forefront of the album, Andrews invites his audience to venture closer to the soul he is baring. Shifting from a belly-active growl to a pained falsetto in an instant, his voice is soulful and dynamic – a modicum of the man’s ability to change. Despite the record’s obvious Biblical overtones, Andrews wasn’t aiming to write a hymnal. “I wasn’t necessarily going for a gospel feel,” he says, “it was just a feeling of emotion. I perform on emotion.” Nor was his goal to do something strictly New Orleans. Instead, “Redemption” is something uniquely Andrews. It has all the Bourbon Street trappings of his bloodline – for example, “Bad by Myself,” which is destined to become another jazz standard in the vein of “Knock wit Me” – but the LP’s style is more global. It has the brass-alloyed backbone of the bayou but with the reflective hospitality of Andrews’ New England reclamation. As far as he sees it, Boston gives all the love right back to him. Though a second line is scarcely seen parading down Boylston Street and Hub locals typically prefer their chowder to a down-home gumbo, Andrews still finds that this city has an appetite for his Cajun stylings. Andrews knows that, whenever he’s on the road – whether he’s sober, searching, or otherwise – he’ll always have a home in Beantown. Even if it’ll never be a perfect substitute for the Big Easy. But that’s okay. After all, it’s the nature of retreat.